We are here to share your success with the world! Achieving SUCCESS is a team effort. Nobody makes it on their own. Our mission is to utilize our multi faceted media platforms and GLOBAL alliance to promote the life changing benefits of the Natural Bodybuilding and Fitness Lifestyle. Before you can get motivated you have to BE INSPIRED. Who better to inspire others than those that have achieved success in the Fitness Industry. We want to share their JOURNEY of fitness success with the WORLD. OUR REACH goes beyond simple social media platforms with a level of exposure and professionalism unseen in the Health & Fitness Industry. We aim for absolute-perfection, if we fall short we settle for perfection! Natural Bodz Magazine has a Global reach of over 30 million, it is available across the biggest and most read digital platforms in the World. One of the ONLY magazines in the world dedicated to promoting Natural Athletes and providing quality, no nonsense content to help others reach their personal health and fitness goals. Regular content on training, nutrition, general health and longevity. Feature Editorial from some of the finest fitness minds in the business and regular Star Profile Features on Natural Athletes who take part in events we host, and the Media shoots we conduct annually. 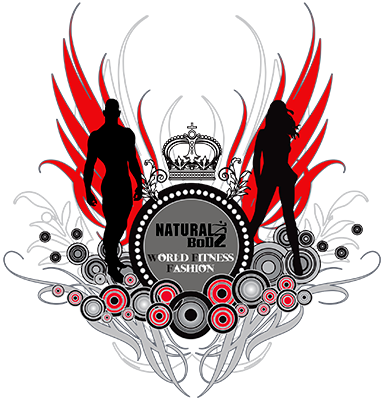 Natural Bodz Association hosts World Class Natural Bodybuilding and Fitness Events across the Asia Pacific Region. Season A is the Natural Bodz Asia Pacific International held annually in June on the Gold Coast. This event includes all categories and the Prestigious Natural Bodz (Musclemania Approved) Pro League. A team is selected from this event to compete in the Fitness America™ Weekend held annually in Las Vegas. Our Season B event is the Musclemania Australia show, held annually in September also on the Gold Coast. This event is a World, Universe and Pro Qualifier. Every single aspect of Natural Bodz Association run events is done with the utmost professionalism, from sound and lighting, first class awards and exciting opportunities for competitors. Natural Bodz Association is dedicated to providing a broad range of multi media platforms one of those being our dedicated talent agency World Fitness Models. We created this website to not only represent outstanding talent from the events we host but to provide yet another exciting opportunity for athletes seeking a career within the industry. Exposure is everything, and this is yet another way that we push the multi media boundaries beyond the scope of simple social media. Most of the images on the website were captured at official Natural Bodz Association Media shoots held bi annually at our events. We are looking forward to expanding and building on the World Fitness Models brand by adding more talent and enhancing the visual appeal through new technology. Facebook, Instagram, check us out!